Ahhh it’s Monday again! This Monday is not just my typical Monday though! I’m finally jumping on the band wagon and trying this Whole 30 challenge. If you haven’t heard of the Whole 30 challenge it’s essentially clean eating for 30 days, so my friends that means no sugar, dairy, grains, legumes, alcohol. They aren’t messing around! “Established by Dallas and Melissa Hartwig (of Whole9) in April 2009, the Whole30® is original nutritional program designed to change your life in 30 days. Think of it as a short-term nutritional reset, designed to help you put an end to unhealthy cravings and habits, restore a healthy metabolism, heal your digestive tract, and balance your immune system”. What am I most terrified about you ask? Of all the things with this lifestyle change for the next 30 days the thing I think I will miss most is my diary free coffee creamer sad, but true! Anyway in an effort to mix things up right out of the gate I made these Balsamic Garlic Grilled Portobello Mushrooms. They are great as a side or as the main course with some other veggies. In a large plastic Ziplock bag combine the balsamic vinegar, olive oil, minced garlic, black pepper and salt. Then using a spoon lets prep the mushrooms. I always remove the “gills” from the mushrooms, but its a preference really. Using the spoon gently scoop out the “gills” and discard them; rinse the mushroom then place in the marinade. Allow the mushrooms to marinate for 30 min or over night depending on how much time you have. I’m all about doing things the night before so my week nights are hassle free. Preheat the BBQ or a grill pan over medium high heat; remove the mushrooms from the marinade and place them on the grill. Grill for until they are soft and tender approximately 5 minuets on each side. I prefer mine a bit charred on the edges, so I leave them a bit longer. Remove from the grill then you can slice them and serve them as a side or the main dish. These Balsamic Garlic Grilled Portobello Mushrooms remind me of a great steak! Looking for something simple to make on Meatless Monday? Try these Easy Balsamic Garlic Grilled Portobello Mushrooms. Then using a spoon lets prep the mushrooms. I always remove the "gills" from the mushrooms, but its a preference really. Using the spoon gently scoop out the "gills" and discard them; rinse the mushroom then place in the marinade. 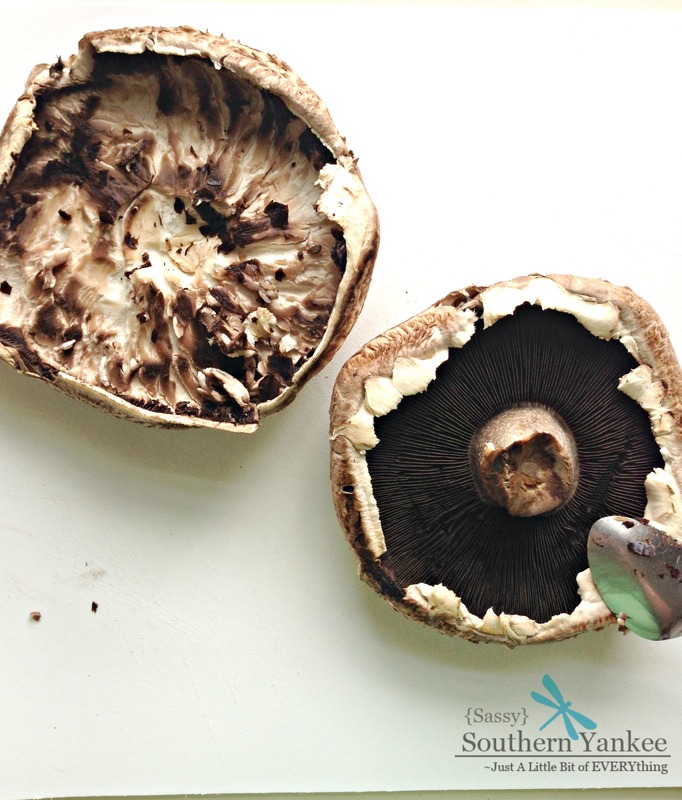 Allow the mushrooms to marinate for 30 min or over night depending on how much time you have. I'm all about doing things the night before so my week nights are hassle free. Preheat the BBQ or a grill pan over medium high heat; remove the mushrooms from the marinade and place them on the grill. Grill for until they are soft and tender approximately 5 minuets on each side. I prefer mine a bit charred on the edges, so I leave them a bit longer. Remove from the grill then you can slice them and serve them as a side or the main dish. 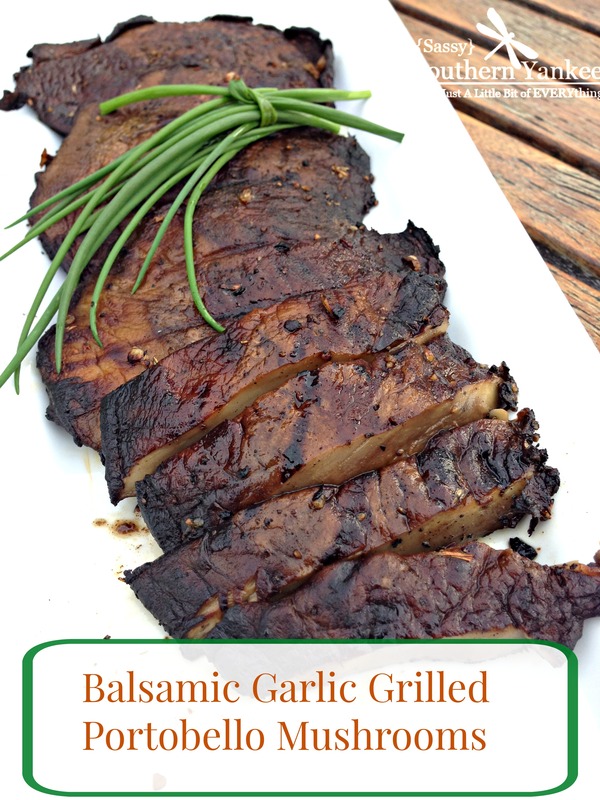 These Balsamic Garlic Grilled Portobello Mushrooms remind me of a great steak! 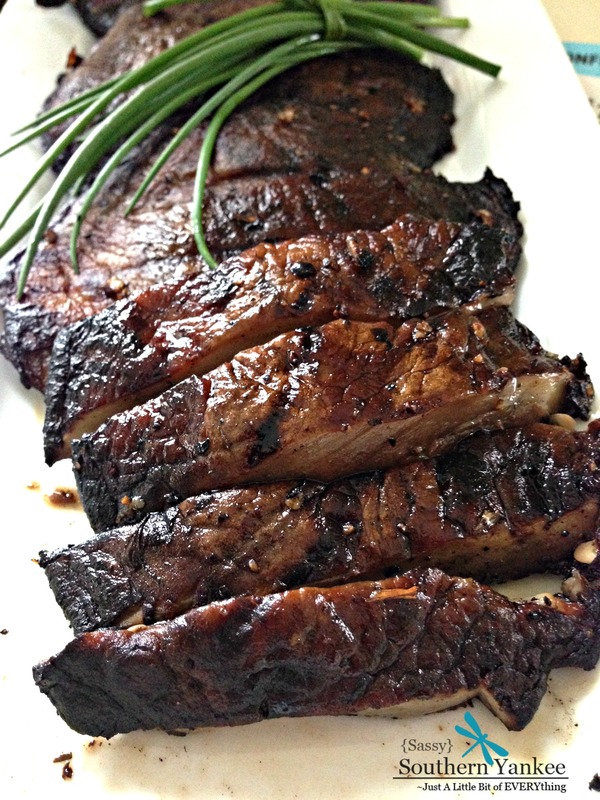 This entry was posted in Main Course, Side Dish and tagged BBQ, Clean Eating, Gluten Free, Grilled Portobello Mushrooms, Grilling, Low Carb, Meatless Monday, Mushrooms, Paleo, Portobello Mushrooms, Vegan, Vegetarian, Whole 30 Recipies. Sounds delish! Could you make these on the stove or in the oven? I’m sure you could but I haven’t tried it that way. 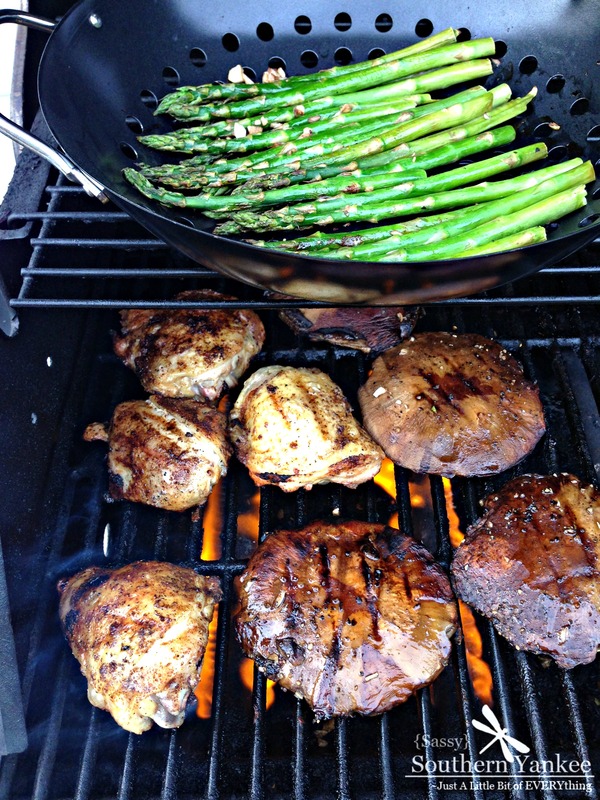 I am a huge fan of the extra smoke flavor from grilling. I often have these instead of a steak. The grill picture looks amazing!! I’m making these tonight – yummmmm! Why is the picture of meat if you are grilling mushrooms? Just curious!?! Hey Monica, The mushrooms are on the right and I was also grilling chicken for meal prep for the week. Sorry for any confusion this may have caused. I agree with Monica your yummy yummy yummy looking mushrooms do look like an actual steak. I bring Portobellos to almost every cookout now. I use Italian dressing but I think I’ll use yours recipe next time. Do I have to marinate in a ziplock? Can I just use a bowl? I use a zip lock, but you can use whatever is easiest for you. I like the zip lock because I can flip it to marinate evenly. If I don’t have a grill, is there another way I can prepare these? Thanks! You could try roasting them in the oven or in a pan on the stove. I haven’t tried that but I’m sure they will be equally delicious they just won’t have the added smoke taste. Do you think adding liquid smoke to the portobellos on the stove top for a Smokey flavor would be okay? If so how much would you recommend? Or do you think it would clash with the balsamic? Made these for dinner this evening and they were delicious. They are most definitely a make again dinner or lunch, thank you. But I really wish you would not recommend marinating things in plastic ziploc bags, use a bowl instead, whatever good you do for the environment eating a vegetarian or vegan meal plan is pointless when you use plastic that causes even more harm to humans, wildlife and the planet. I know you mentioned making changes gradually but making changes in how we use plastic, even recyclable plastics is destroying our planet. Do you have nutrition information? Wow, I prepared these as written, only I cooked it in an iron frying pan as I do my tender steak filets. The texture is so similar, I’m a new convert to a few meatless dinners. I found that even the largest of my mushrooms cooked beautifully in a preheated iron pan on medium in 14 mins total.